This rough piece of Woodworthia weighs over 2.5Lbs. It measures 4 x 2 1/2 x 5 inches. This item ships free anywhere in the continental USA. Woodworthia is recognized by its unusual "bumpy" or "dimpled" bark, it is one of the more rare species of Arizona Petrified Wood. This rough piece of Woodworthia weighs over 3Lbs. It measures 6 x 3 1/2 x 3 inches. This item ships free anywhere in the continental USA. Woodworthia is recognized by its unusual "bumpy" or "dimpled" bark, it is one of the more rare species of Arizona Petrified Wood. 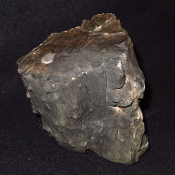 This rough piece of Woodworthia weighs just under 2 Lbs.It measures 4 1/2 x 1 1/2 x 3 1/2 inches.This item ships free anywhere in the continental USA. Woodworthia is recognized by its unusual "bumpy" or "dimpled" bark, it is one of the more rare species of Arizona Petrified Wood. These 3 rough pieces of Woodworthia weighs over 3Lbs. This item ships free anywhere in the continental USA. Woodworthia is recognized by its unusual "bumpy" or "dimpled" bark, it is one of the more rare species of Arizona Petrified Wood. This rough piece of Woodworthia weighs over 3.5Lbs. It measures 6 x 4 x 3 inches. This item ships free anywhere in the continental USA. Woodworthia is recognized by its unusual "bumpy" or "dimpled" bark, it is one of the more rare species of Arizona Petrified Wood. This rough piece of Woodworthia weighs over 4Lbs. It measures 7 x 4 x 2 inches. This item ships free anywhere in the continental USA. 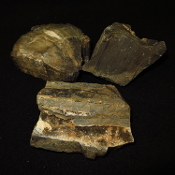 Woodworthia is recognized by its unusual "bumpy" or "dimpled" bark, it is one of the more rare species of Arizona Petrified Wood. These 5 rough pieces of Woodworthia weighs over 6Lbs. This item ships free anywhere in the continental USA. Woodworthia is recognized by its unusual "bumpy" or "dimpled" bark, it is one of the more rare species of Arizona Petrified Wood. This piece of rough Woodworthia weighs over 5 lbs. It measures 5 5/8 x 3 1/8 x 3 inches. Woodworthia is recognized by its unusual "bumpy" or "dimpled" bark, it is one of the more rare species of Arizona Petrified Wood. This piece of rough Woodworthia weighs over 9 Lbs. It measures 9 3/4 x 6 x 3 inches. Woodworthia is recognized by its unusual "bumpy" or "dimpled" bark, it is one of the more rare species of Arizona Petrified Wood. This item ships free anywhere in the continental USA. This piece of rough Woodworthia weighs over 7 Lbs. It measures 4 3/4 x 8 1/2 x 2 5/8 inches. 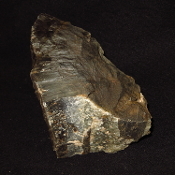 Woodworthia is recognized by its unusual "bumpy" or "dimpled" bark, it is one of the more rare species of Arizona Petrified Wood. This item ships free anywhere in the continental USA. This piece of rough Woodworthia weighs under 5 Lbs. It measures 4 1/4 x 3 1/4 x 4 3/4 inches. 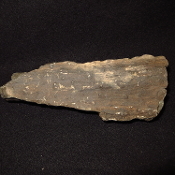 Woodworthia is recognized by its unusual "bumpy" or "dimpled" bark, it is one of the more rare species of Arizona Petrified Wood. This item ships free anywhere in the continental USA. This piece of rough Woodworthia weighs over 9.5 Lbs. It measures 4 1/4 x 7 x 8 1/4 inches. 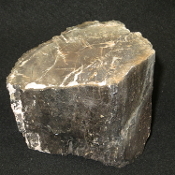 Woodworthia is recognized by its unusual "bumpy" or "dimpled" bark, it is one of the more rare species of Arizona Petrified Wood. This item ships free anywhere in the continental USA. This piece of rough Woodworthia weighs over 4.5 Lbs. It measures 5 3/8 x 4 1/4 x 3 inches. Woodworthia is recognized by its unusual "bumpy" or "dimpled" bark, it is one of the more rare species of Arizona Petrified Wood. This item ships free anywhere in the continental USA. These 3 pieces of rough Woodworthia weighs just under 3 Lbs. Woodworthia is recognized by its unusual "bumpy" or "dimpled" bark, it is one of the more rare species of Arizona Petrified Wood. This item ships free anywhere in the continental USA. This piece of rough Woodworthia weighs over 6.5 Lbs. It measures 7 x 5 x 2 3/4 inches. Woodworthia is recognized by its unusual "bumpy" or "dimpled" bark, it is one of the more rare species of Arizona Petrified Wood. This item ships free anywhere in the continental USA. This piece of rough Woodworthia weighs over 4.5 Lbs. It measures 4 1/4 x 6 3/4 x 3 5/8 inches. Woodworthia is recognized by its unusual "bumpy" or "dimpled" bark, it is one of the more rare species of Arizona Petrified Wood. This item ships free anywhere in the continental USA. This piece of rough Woodworthia weighs over 2.5 Lbs. It measures 7 1/2 x 3 x 2 inches. 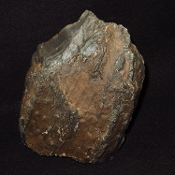 Woodworthia is recognized by its unusual "bumpy" or "dimpled" bark, it is one of the more rare species of Arizona Petrified Wood. This item ships free anywhere in the continental USA. This piece of rough Woodworthia weighs over 4 Lbs. It measures 5 3/4 x 4 1/4 x 2 1/2 inches. Woodworthia is recognized by its unusual "bumpy" or "dimpled" bark, it is one of the more rare species of Arizona Petrified Wood. This item ships free anywhere in the continental USA. These 4 pieces of rough Woodworthia weighs over 4 Lbs. Woodworthia is recognized by its unusual "bumpy" or "dimpled" bark, it is one of the more rare species of Arizona Petrified Wood. This item ships free anywhere in the continental USA. This piece of rough Woodworthia weighs over 4.5 Lbs. It measures 4 1/4 x 6 1/4 x 3 1/2 inches. Woodworthia is recognized by its unusual "bumpy" or "dimpled" bark, it is one of the more rare species of Arizona Petrified Wood. This item ships free anywhere in the continental USA. These 2 pieces of rough Woodworthia weighs over 4.5 Lbs. Woodworthia is recognized by its unusual "bumpy" or "dimpled" bark, it is one of the more rare species of Arizona Petrified Wood. This item ships free anywhere in the continental USA. This piece of rough Woodworthia weighs 5.5 Lbs. It measures 4 1/2 x 6 x 4 inches. Woodworthia is recognized by its unusual "bumpy" or "dimpled" bark, it is one of the more rare species of Arizona Petrified Wood. This item ships free anywhere in the continental USA. This piece of rough Woodworthia weighs over 7 Lbs. It measures 6 1/4 x 5 1/2 x 3 3/4 inches. 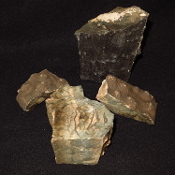 Woodworthia is recognized by its unusual "bumpy" or "dimpled" bark, it is one of the more rare species of Arizona Petrified Wood. This item ships free anywhere in the continental USA.